Do you have a loved one with PTSD? 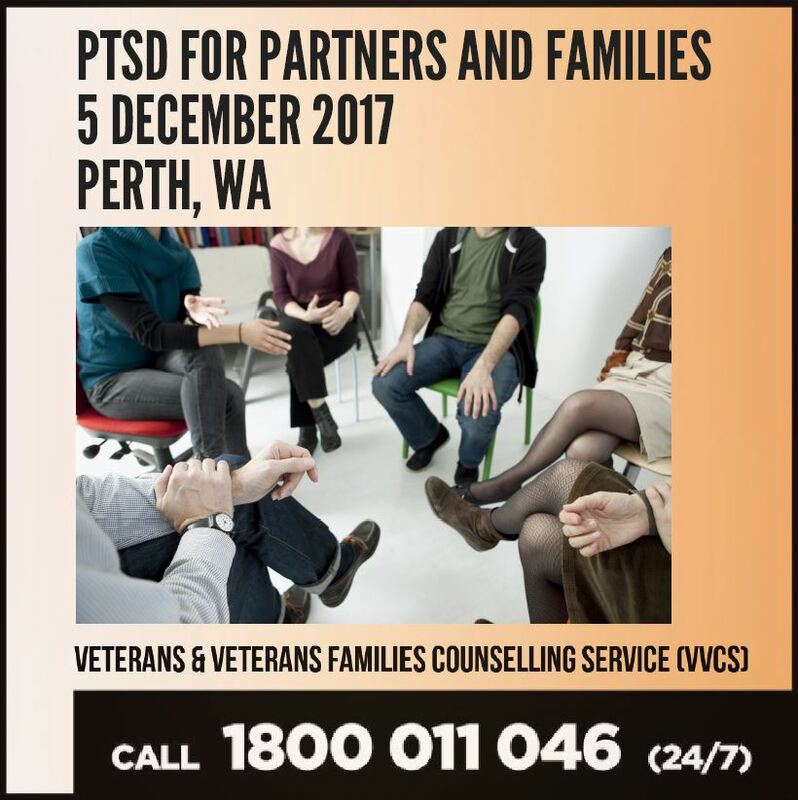 VVCS will be delivering a group program on PTSD for partners and families in Perth on Tuesday 5 December. Did you miss the VVCS community webinar on exercise and wellbeing earlier this month? It’s now available for viewing! Simply click the link below to learn how exercise can improve your mental health and the resources available to support you. The above SOPs take effect from 4 December 2017. The above investigation notices appear in the Government Notices Gazette of 14 November 2017. Soldier On’s education courses are available to both ex service personnel and their immediate families, to assist with them finding meaningful employment. 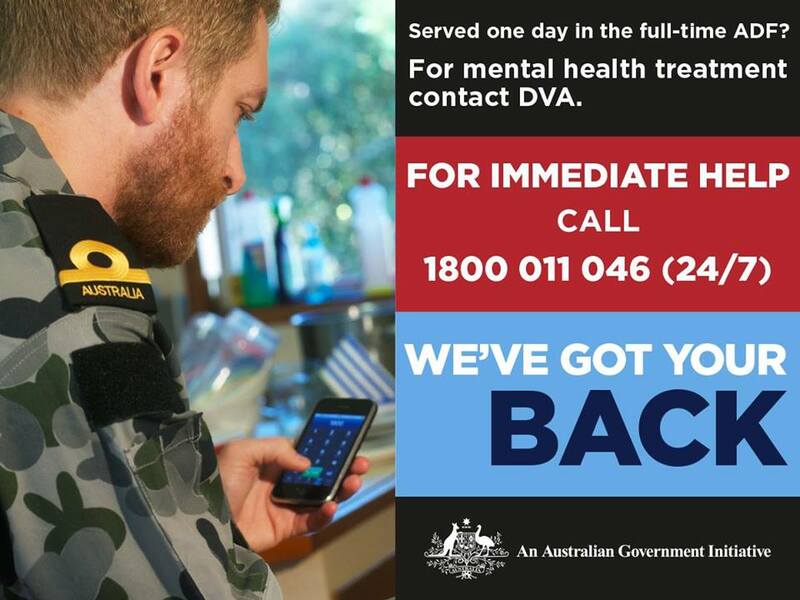 All current and former ADF members with at least one day of full-time service are eligible for immediate treatment for any mental illness. There is no need to lodge an application form, nor is there any need to establish that these conditions were caused by your service. Treatment is available for as long as it is needed. For immediate assistance call Veterans and Veterans Families Counselling Service on 1800 011 046 at any time, or call DVA on 133 254 (1800 555 254 for regional areas). DVA provides a variety of in-home and community support programmes focused on assisting you to continue living independently by supporting your health, well being, and community connection. A 24/7 SERVICES hub for ex-Defence personnel and their families in Townsville should be opened early next year, with the State Government agreeing to a site. The Oasis Townsville (TOT) will provide a one-stop shop for welfare support and employment transition services to ex-ADF personnel and their families. TOT will be at the former Department of Primary Industries Biosecurity lab on the corner of Darter and Colvin streets, Oonoonba. 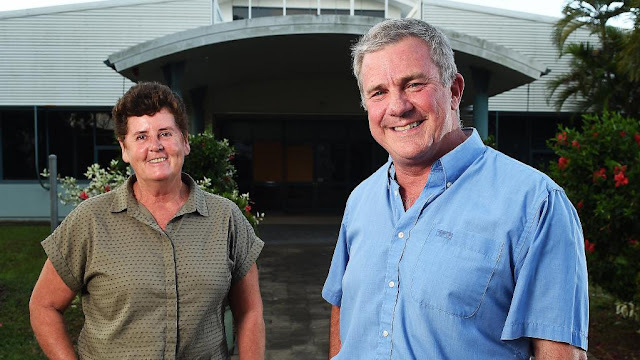 TOT leader retired Lieutenant General John Caligari said the project was almost 10 years in the making and was the brainchild of Veterans Off The Streets Australia managing director Floss Foster and Townsville leaders of prominent ex-service organisations (ESOs). He said TOT would be manned around the clock to provide advice and support with matters affecting transitioning and adapting to life outside the ADF. The building has been dormant since 2012 and it is understood it requires about $1 million in refurbishment. Labor has committed to transferring and repurposing the site in the new year if re-elected. Mr Caligari said he would seek the same support from Pauline Hanson’s One Nation, Katter’s Australian Party and the LNP to ensure the project moved ahead. Minister Assisting the Premier on North Queensland Coralee O’Rourke said ex-ADF personnel and their families faced unique challenges, including high unemployment, elevated risk of social isolation, drug addiction and suicide. She said Labor’s commitment to the TOT site was part of its plan to tackle these issues in Townsville. Welfare and Compensation Officers and Advocates have always kept their knowledge up-to-date by attending refresher training – usually face-to-face foundation or add-on courses at the advocate’s current level. Like all ATDP training, CPD is a contemporary learning practice. It is designed to ensure that advocates continue to provide the high-quality service that current and former ADF members and their families expect and deserve. CPD is a points-based system – just like those used by engineers, accountants and many other professions. Points are earned through a range of activities, such as online quizzes, attending special courses and watching video tutorials. All options are designed to reinforce and grow knowledge and skills. The program will give advocates the greatest flexibility in what they do, and how and when they do it – online at home, or at a conference or seminar. It is tailored to suit practitioners at each level in either welfare or compensation. Advocates will discover that acquiring points won’t take more time out of their schedule than the old system, and they will be able to say with confidence to their insurer, to their authorising organisation and to their clients that their knowledge is ‘current’. The CPD program is expected to be rolled out in the first half of 2018. There will be a comprehensive program of information sessions and training programs before the system comes online.